Tea is a beverage that is aromatic and isnormally prepared by pouring hot or boiling water over dried leaves of the Camellia sinensis. 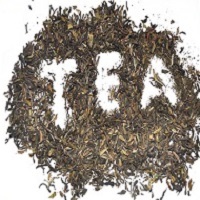 Tea is the most widely consumed beverage after water. Tea is consumed with milk in nations where dairy products are produced like Indian masala chai and British tea blends.The adulteration of tea started in the early 1800’s. Tea is adulterated with chemicals or additives which are frequently added to tea to decrease manufacturing costs orsell it at a higher price.There are random reports that tea leaves of low quality were used to be coloured with Indigo, Plumbago, Bismark Brown, Potassium Blue, Turmeric, etc. to convey that the tea is of high quality.Adulteration of tea can produce health problem and drinking adulterated tea is not advisable from Food Safety point of view.